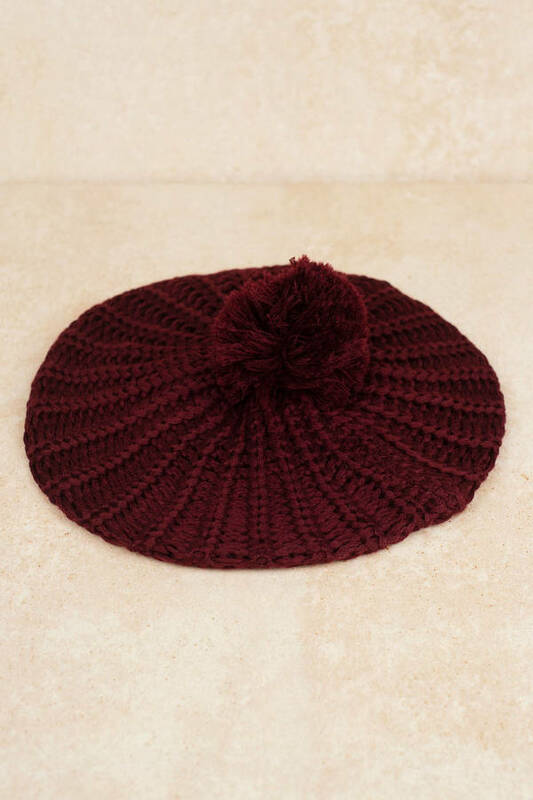 Check out Tobi's Cozy Up With Me Pom Pom Beanie Get outdoorsy in the Cozy Up With Me Wine Pom Pom Beanie. This slouchy beanie features beautiful knitting and a large pom pom at the top. Perfect for outdoor hikes and sitting cozy by the fire, wear this classic beanie to finish off all your winter looks. 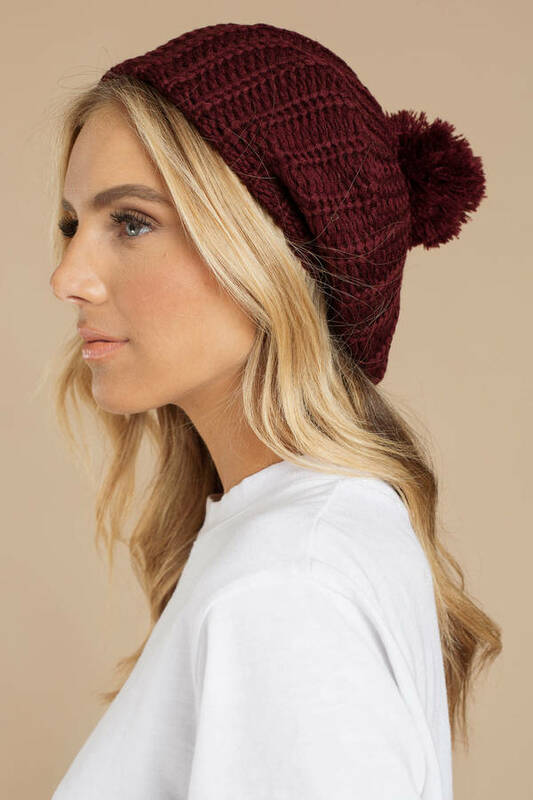 Get outdoorsy in the Cozy Up With Me Wine Pom Pom Beanie. This slouchy beanie features beautiful knitting and a large pom pom at the top. Perfect for outdoor hikes and sitting cozy by the fire, wear this classic beanie to finish off all your winter looks.